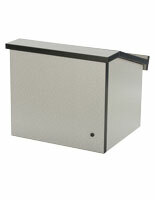 This Tabletop Lectern folds down to 4-1/2" high! 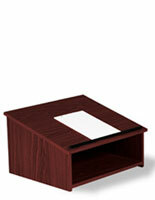 Buy This Tabletop Lectern Today and Have It Tomorrow! 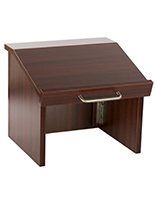 A tabletop lectern is a presentation stand with a slanted top surface that allows for a speaker to place their notes or documents when reading aloud. A tabletop lectern is a great solution for a classroom or meeting room that has limited space for a floor standing presentation stand. 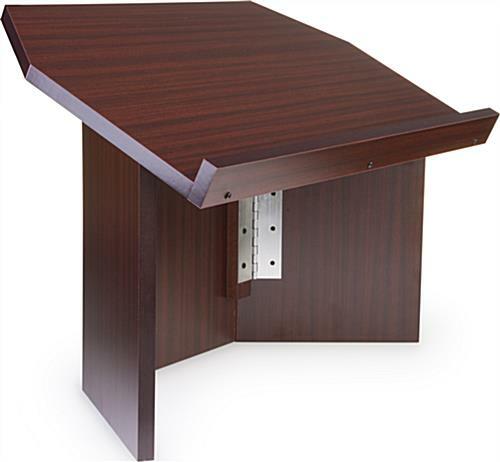 The tabletop lectern, like a presentation stand or mobile podium, features a 1" lip on the top surface so your notes will stay in place while lecturing. Our tabletop lectern has an open space inside to allow for spare reference books or a glass of water to be kept close by. 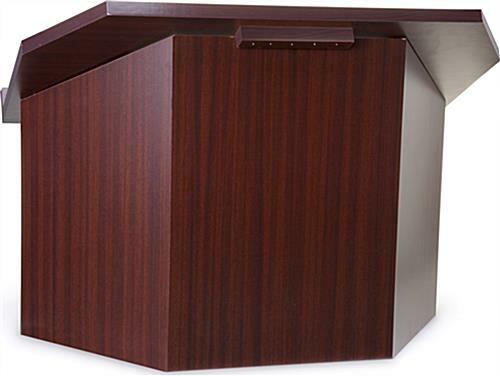 A tabletop lectern, such as desktop pulpit or presentation stand, can be folded down when not in use and due to it's small size, it can be placed in a closet or even in a cabinet for safe keeping until it is needed again. 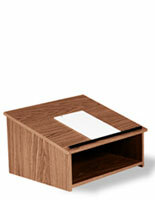 The tabletop lectern is constructed of melamine for a solid speaker stand. 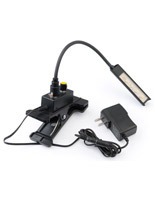 Our tabletop lectern, such as presentation stand or mobile podium, has a folding base that can be easily separated from the reading surface by simply releasing a spring clip. 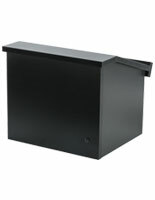 Once the clip is released, the 3 sides of the base of the portable pulpit just tri-fold within themselves to a making it convenient to store. 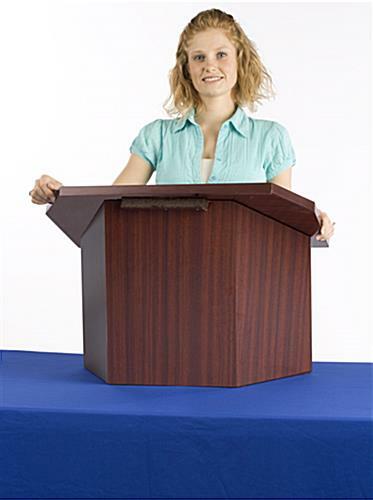 Our tabletop lectern, such as mobile podium or portable folding presentation stand is lightweight and has such a sturdy construction that allows this pulpit to be moved easily while assembled. 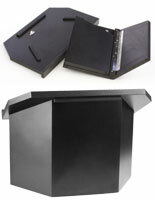 This tabletop lectern, such as a portable pulpit for a desk top, when folded & both pieces are laid on top of each other, is less then 4-1/2" high.